If you have a lot of friends who always endlessly borrowing your stuff like CD, Books, Notes, Bags, Pants, Boxers and much more. And you forget to take it back or give it back then you need not to worry now. 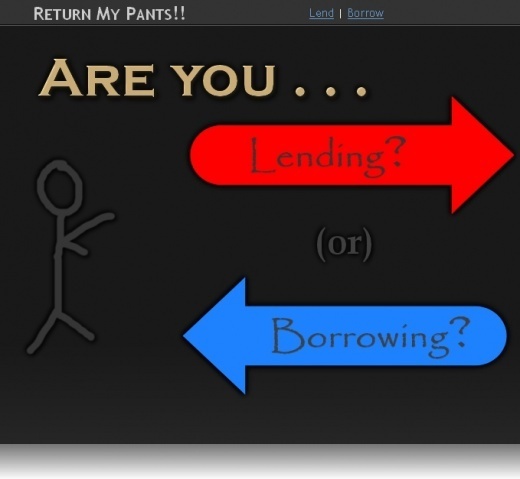 Return My Pants is the online web service where you can keep track of all your stuffs that you lend out to other people. 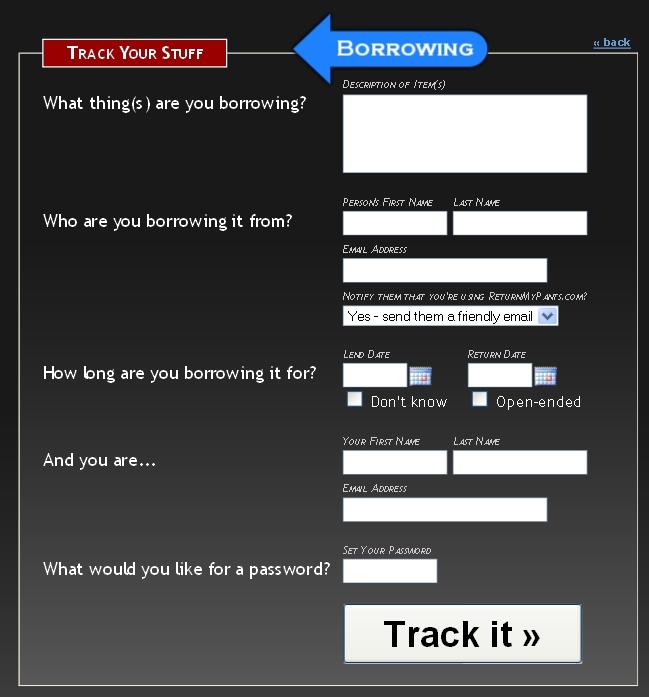 You can also track things that you borrow. Go through some simple steps and start tracking your stuff with Return My Pants. First you need to register with them to use their services.After Registration you can make an entry of every item you have lent with the expected date of return, put in your friend’s email address, and he will get an automatic email from you reminding him that the book is due. So this is really a helpful online web service. Your friends also keep track of what you owe them too, so it works best when all your friends are on this Web site.So visit the Return My Pants and share it with your friends. Next: Add Download Statusbar to Firefox Browser.